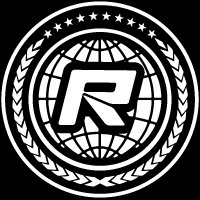 Round 3 of CTS4 was held in the middle of nowhere at a secret hidden spot in Dale Texas called N-Control RC Raceway. The track has smooth asphalt that has held a ROAR Nationals, multiple ROAR Regional races, EOS champs and it’s first CTS event ever. Weather was a bit cooler than expected which made the tires for everyone exceptional but with proper tire warmer equipment, it didn’t stop the cars from performing well. 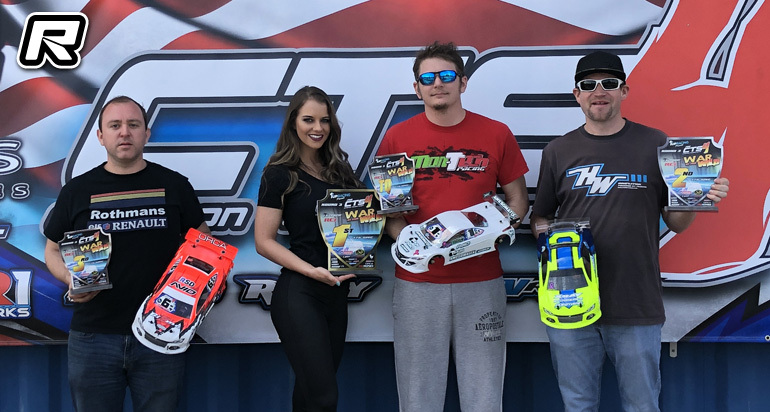 In Modified TC, Former USGT National Champ Chris Kemper Awesomatix Driver secures TQ honours with a remarkable performance over arguably Texas’s best pound per pound on road racer and Team XRAY Factory Driver Chris Adams. In round one local fast guy and Team Yokomo Driver Brandon McNally battles his way to the front in the very last lap against Adams for TQ in Q1. With some changes to Adams’ XRAY T419, he then would improve on current TQ with a solid run by Larry Meyers in 2nd then Kemper in 3rd with the hot Lap. I’m Q3 TQ was up for grabs and Chris Kemper takes it also on last lap over Adams. In the mains Chris Kemper showed speed in the early part of race but Chris Adams drove brilliantly executing two clean passes in A1 and A2 to clinch Mod followed by Chris Kemper in 2nd and Brandon McNally in 3rd with a dramatic A3 making a two for one pass over Michael Toth and Cristian Tabush. In 17.5 TC Michael Toth Awesomatix Driver was undoubtedly the man to beat setting fastest lap times in the class. Improving on each of his qualifiers, no other racer came close until the mains. 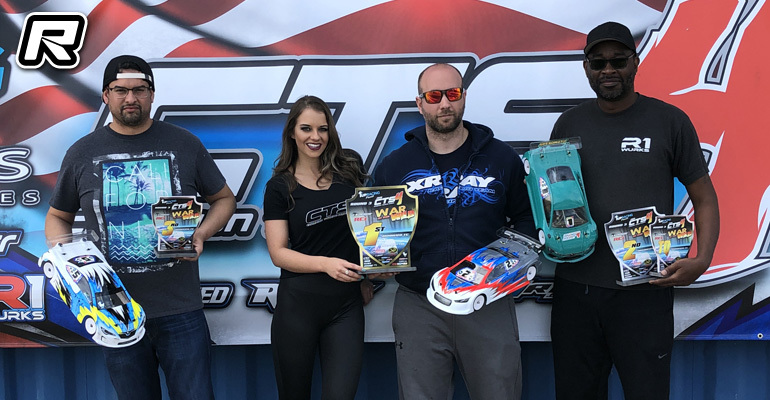 In A1 there was a three way battle for the lead as Michael Toth held hard charging Gizmo Driver Cristian Tabush back to the line with Team Xray Driver Lex Tyler in 3rd. A2 was a bit more challenging for Toth as he had Tyler behind him in the early part of the race. Tyler found some speed by making quick spring changes to his T419 allowing his car to finally break into the same lap times as Toth. With a little close racing Tyler taps the rear bumper of the leader allowing the field to close in. Toth finds a way to untuck his body and runs away to clinch 17.5 TC with Andrew Dougherty in 2nd And Cory Parsons in 3rd. A3 2nd place was up for grabs it was a tight battle between Team Xray Driver Andrew Dougherty 1st and Tabush 2nd with Tyler in 3rd. Overall Michael Toth TQ wins with Dougherty in 2nd Tabush in 3rd. In USGT Christian Jones showed the way from Qualifiers to the mains as he dominated against a full stacked field. 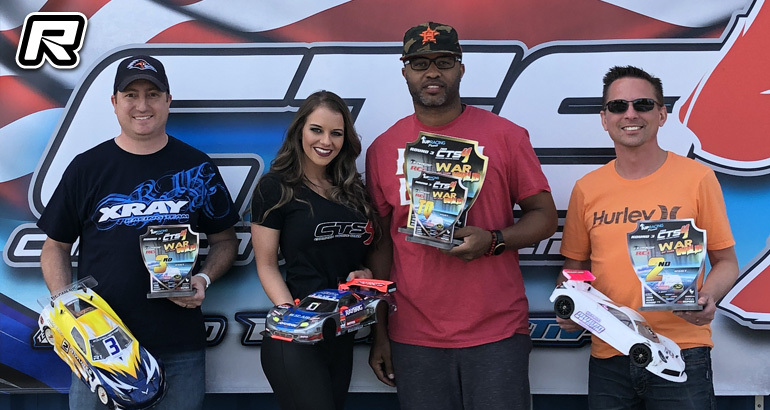 From tone to tone, Jones displayed no decline in performance running away with his first ever CTS Title with TQ Honors in USGT followed by Mugen Driver John Hodges in 2nd and XRAY Driver Billy Land In 3rd. For F1 it was Christian Jones again who TQ’d this class but had a handful in the mains as he battled out against Brian Fong for the Overall win. A1 Team Xray Driver Brian Fong finds a way to break free from Jones’s mistake and takes the win. 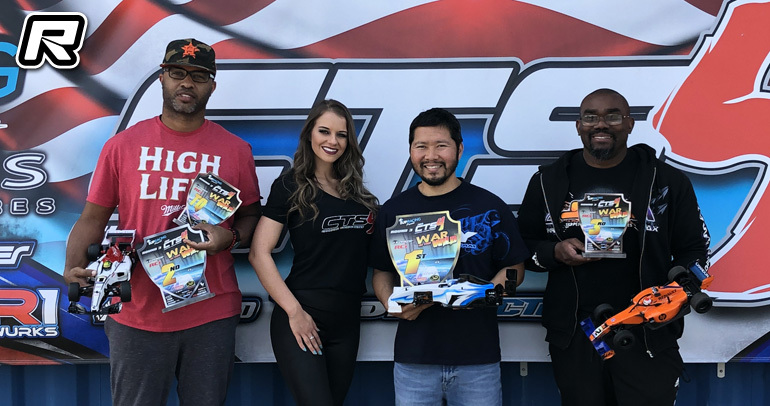 A2 Cristian Jones takes a win with Marcus Williams in 2nd Fong in 3rd. A3 it was Fong who came out victorious over Jones in 2nd and Williams In 3rd. Next round on April 5-7 at Valkaria RC Raceway in Florida.